January is National Slavery and Human Trafficking Prevention Month. 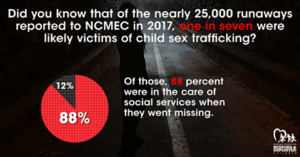 Click here to learn how the National Center for Missing & Exploited Children is combating this horrible crime. To join the conversation on this important issue click here.